Reluctantly, Delilah Gray has returned to her childhood home—a ramshackle cottage where her compulsive, hoarding grandmother, Meema, raised her. Meema’s ghostly manifestations refuse to let Delilah clean the filthy house, or to reside there peacefully. And that’s just the beginning of Delilah’s problems. When Delilah discovers that she is connected to Lily Defoe, a woman who leapt to her death many years ago, and to a man who refers to himself as The Gravedigger for Lost Souls, she realizes there is more to her homecoming than she anticipated. Who she is, and who she’s been, crosses the boundaries of life and death. Nothing—not the people she meets, not this very moment in time, not even the tragic death of her daughter—is what it appears to be. 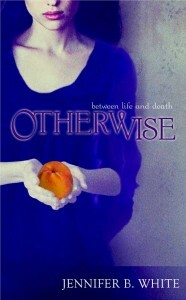 OTHERWISE is a chilling tale about lonely spirits, protective forces, and departed loved ones who are never really gone—and a woman who, after wanting to die, finds a reason to live and to love again. Only to discover what it is to be Otherwise. 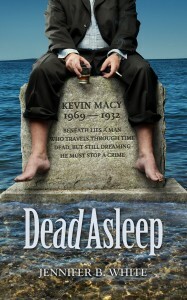 Kevin Macy has led a charmed existence, though he’s egotistical, self-destructive, discontented—and possibly dead. Recently divorced, trying to conquer his smoking and drinking addictions, Kevin wakes one morning to discover he’s dreamsharing, a state in which other people participate in his recurring dream. On the TV, he suddenly hears a talk show host describe her dream—his dream—from the night before: on a beach at night stands an ominous doorway. Small, gossamer threads dangle from the sky touching everything. As Kevin struggles to find meaning behind this puzzling phenomenon, he learns that his unwitting involvement in a homicide twenty years prior has altered life’s predetermined plan, causing dreamsharing. The people in Kevin’s dreams are connected. And the silver threads are superstrings—the very fabric of time and space. 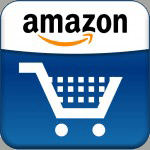 Now he is in a race against time to undo past events to prevent impending disasters. The problem is he must do it while he’s sleeping—and before he dies. With help from Claire, a narcoleptic with the uncanny ability to draw people into slumber, he will journey into the past and future, affecting the lives of everyone he meets, including his own. DEAD ASLEEP rides the razor’s edge between dreaming and wakeful states, the past and the future, and the lines between life and death. Magic comes in all forms. 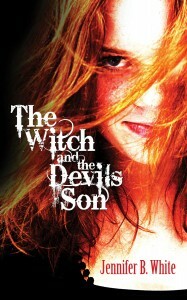 Sixteen year-old Melody Blackstone is a witch. And in the Christian community of Welbourne, Kansas, she’s as welcome as The Devil. When she meets newcomer Van Masterson—intelligent, charismatic, but an outcast like herself—she’s dangerously drawn to him, unaware of his dark past and what wickedness he’s planning. Soon after his arrival, Melody struggles to understand why she sees little black imps, has visions of a graveyard interloper, and hears the whispers of someone else’s thoughts. A visit from her dead father leaves her with even more questions. Spells, incantations, rituals and a group of lost souls raising hell, stir up the quiet town. And the outraged residents of Welbourne are quick to point the finger at the Witches of Blackstone Farm. Even as Melody begins falling in love with Van, she’s forced to accept the critical role she plays in his objective—to become the Devil’s son, limitless in what his evil powers can do.